How Much Time, Money and Human Costs Spent to Produce Windows Vista? 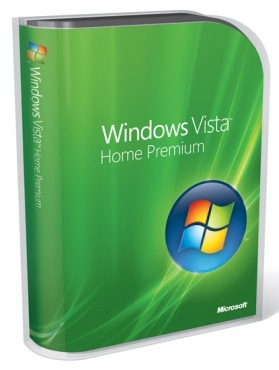 Home»Operating Systems»Windows»How Much Time, Money and Human Costs Spent to Produce Windows Vista? Windows Vista, the latest release of Microsoft Windows product line of graphical user interface GUI-based operating systems used on personal computers, including home and business desktops, notebook computers, and media centers, was officially announced on July 22, 2005, and was previously known by its codename Longhorn. Windows Vista has scheduled worldwide retail release available from January 30, 2007, making the OS’s release dates come more than five years and a half after the release of its predecessor, Windows XP, making it the longest time span between major releases of Windows, although some editions were available to volume license business customers, MSDN and TechNet subscribers through November 2006. With hundreds of new features, developed over a time space of five and a half year, Windows Vista may be the greatest and most complex software engineering project ever taken on the world. But have you ever wonder how much money or cost and human or developers that Microsoft spends to develop, build and produce Windows Vista? According to The Seattle Times, Microsoft took 10,000 employees about five years to ship Vista. If each employee costs Microsoft about $200,000 a year, the estimated payroll costs alone for Windows Vista hover around $10 billion. And will Windows Vista will be the last of its kind? The theory goes that with increasing number of competitors and rivals such as Google that are creating free or ad-supported software delivered over the Internet and browsers that you simply download from a computer server, Microsoft won’t be able to charge a premium for its operating systems anymore as nobody will be willing to spend much more than token amount or expecting free usage. Thus, the ability of Microsoft to invest more money at a future project than it has thrown at Vista is in doubt. However, the situation is unlikely, as Microsoft has started work on next major version of Windows operating system with codename “Vienna” (Windows 7 when released), previously known as Blackcomb, with a tune-up of Vista, dubbed Fiji, scheduled to be released in between before Windows “Vienna” expected to arrive in 2011. Beyond that, Microsoft has started working on a new operating system (link dead) based on new architecture and foundation which comes with better support for the emerging multi-core technology, as well as use new development tools that are not yet available, and ultimately will replace Windows. Not to forget Windows Server “Longhorn” roadmap (link dead) that lasts beyond 2008.